Buy less meat and dairy. Walk, don’t drive. Dry laundry on a rack. They’re all things we’re told could help save the planet. But how far are any of us prepared to go? And what’s stopping us from doing more? We challenged three people to spend one week making as many changes as possible to live a greener life. Here’s how they got on. You can read the rest of the Yawnathon here. 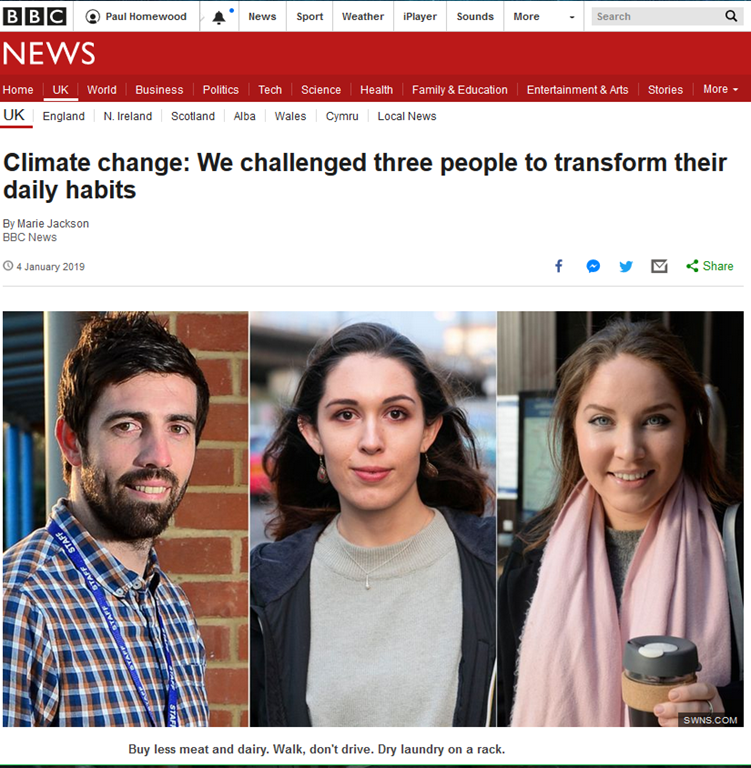 Perhaps, if the BBC really are so concerned, they could start by sacking half their staff, shut down half their operations, stop sending staff half way round the world to film 5 minute snippets, ban the use of all private transport within the organisation, and stop using all fossil fuels.